Toprock, footwork and powermoves. 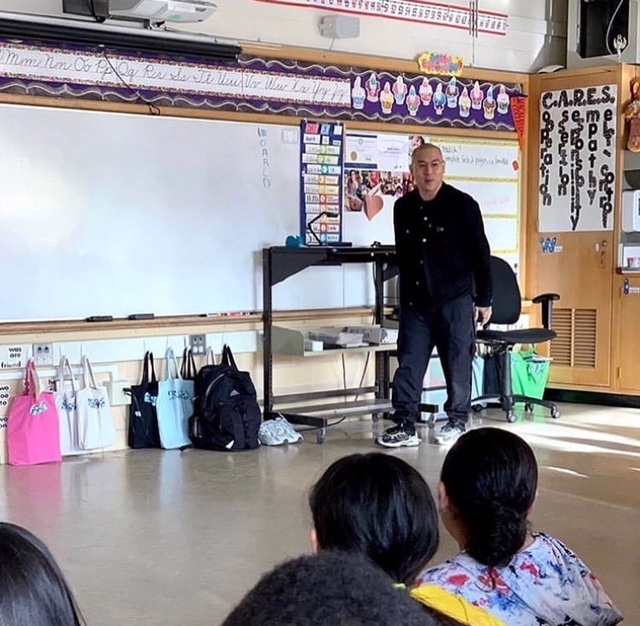 Doesn’t sound like your typical 4th and 5th grade classroom, but for Highland Elementary that’s exactly what they were served when Teaching Artist MN Joe Tran came to visit! For most students, breakdancing was unfamiliar territory. Though inexperienced, they were eager to start learning the elements of breaking. MN Joe has been breakdancing for 17 years now and is also a member of BRKFST Dance Company. Even throughout his extensive experience he still remains excited to teach new learners.